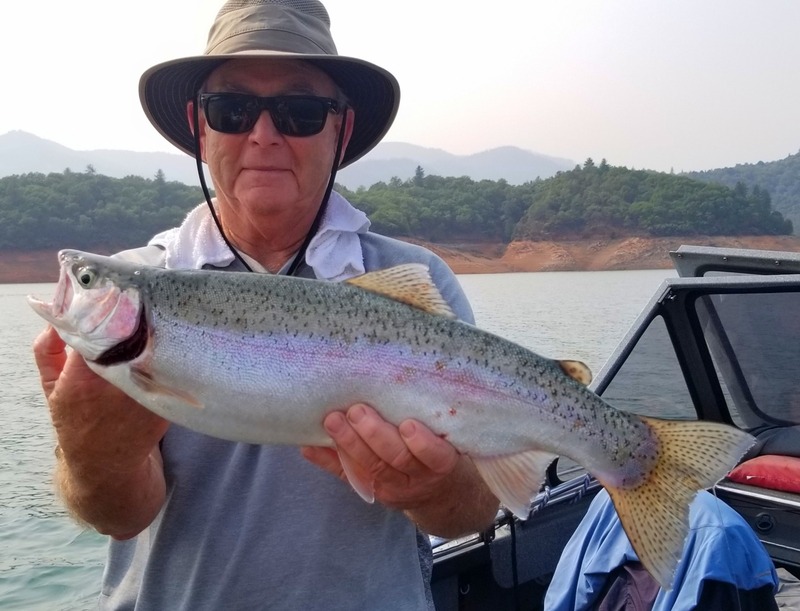 8/27/18 - Monday was quite a day from start to finish, woke up to a beautiful sky full of stars and a full moon, limits of fat Shasta Lake Trout and steady action all day, and Blue sky on the lake to boot, yes it was very good Monday! 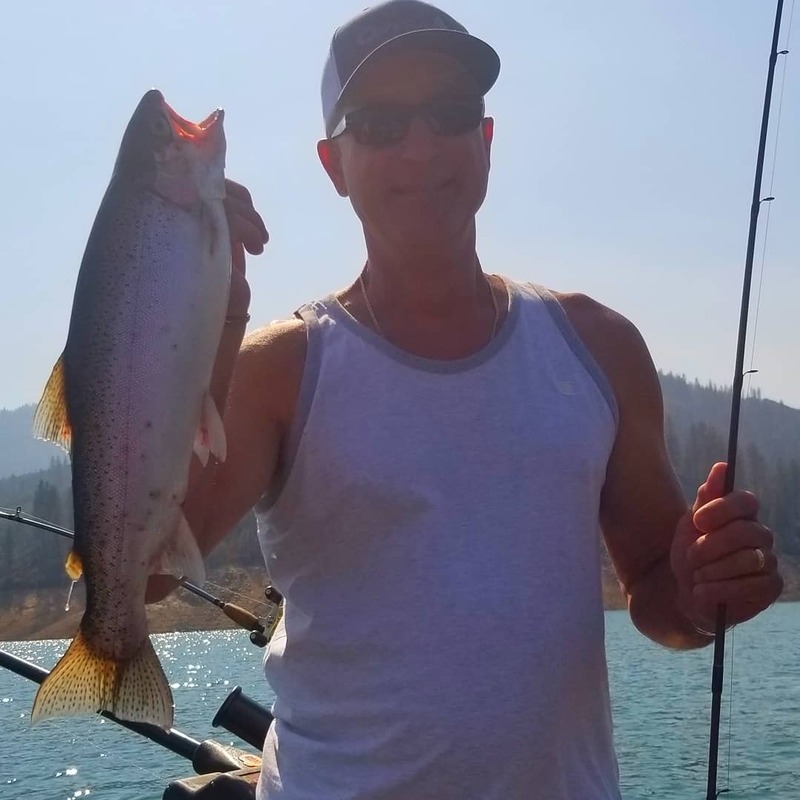 The Trout were deep on Monday below 100 feet. 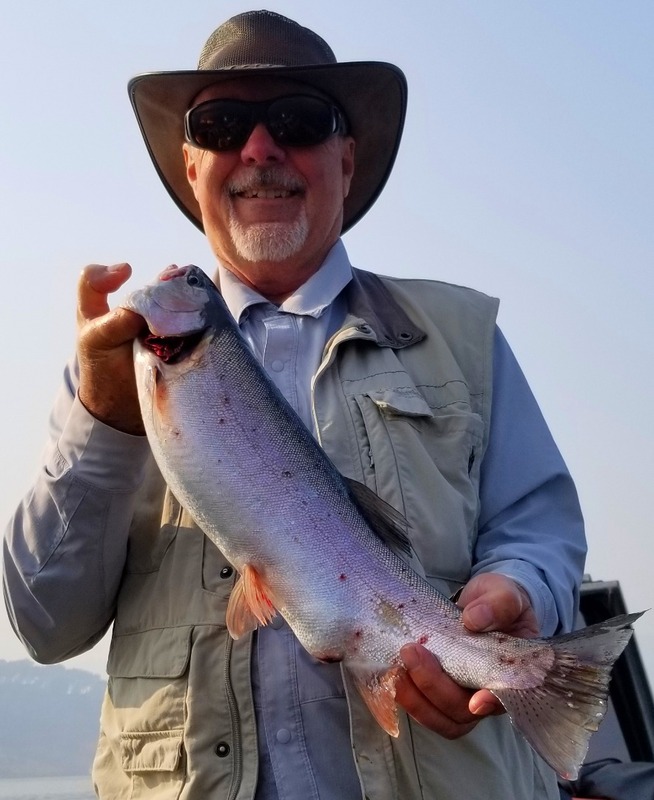 ProCure dipped 3.0 Maglips did the trick to get them biting. There is so much Shad in lake ya got to show them something different. On the bright side all that food is making for some fat hard fighting fish. 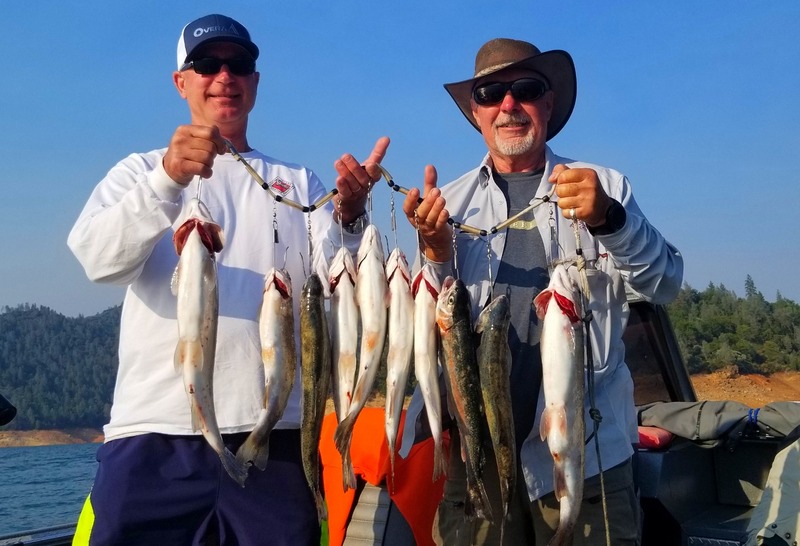 These yum yum trout will be some of best eating fish you've had in a long time!